You feel love at first sight when you see dresses like this one. 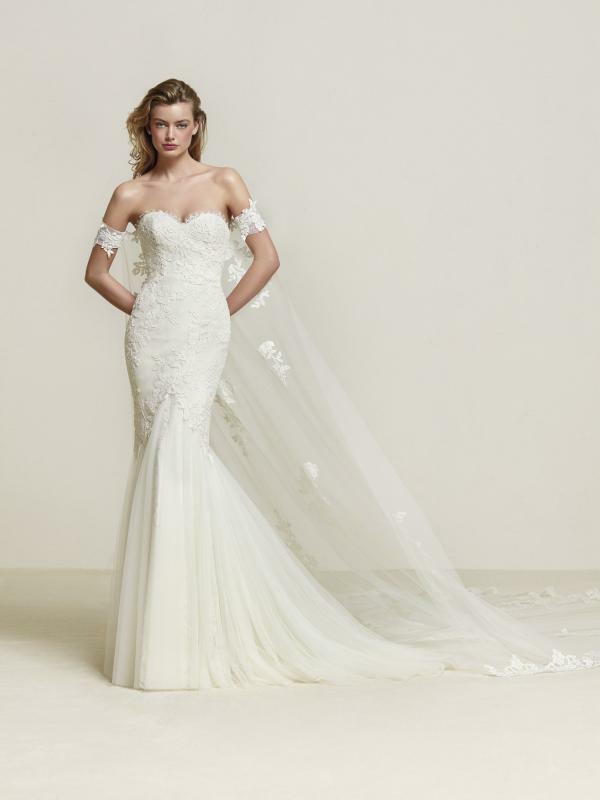 A mermaid design, fitted at the waist, with the skirt and train in crepe and tulle, along with lace and guipure for a sensual and sophisticated bodice and illusion neckline, both at the front and back. A bodice that blends into the skin creating a beautiful tattoo effect. Also, it’s long sleeves with bare shoulders accentuate its femininity even more, really making the bride the leading lady. Available in selected showrooms only. Please contact your nearest showroom for availability.